With Krakow Photomonth straddling this and next month, now is the perfect time to introduce the Krakow Photography Group. 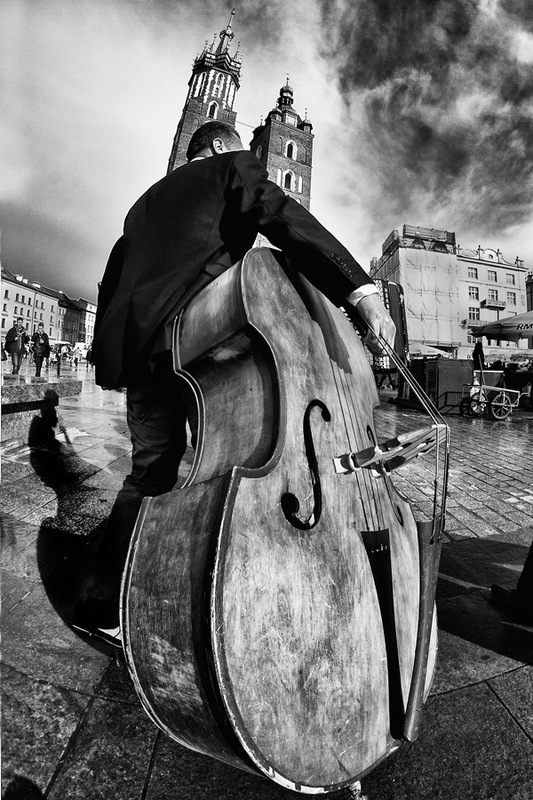 Created by David McGirr, the Krakow Post’s Managing Director and resident photographer, the Krakow Photography Group is a recently established forum for both expat and Polish photography enthusiasts to get together and share their ideas, experience and the occasional beer. I have many photographer friends in Krakow and, several years ago, started looking for an English language photography group, which I didn’t find. I did not pursue it at the time because I fully, and foolishly, expected to be fluent in Polish by the time I retired here in 2011. I still have a long way to go to reach fluency, so when a few friends took the leap and upgraded from point-and-shoot compacts to DSLR cameras, they asked me if we could have a few photography sessions together to help them get the most from their new equipment. I sat down to arrange a Facebook event for my friends and, partly out of curiosity and partly remembering my forlorn search for an English language photography group in Krakow, I opened the group to the public. The response was immediate and positive. It attracted dozens of new members in the first few hours and has grown to 215 members from more than 18 nations in just eight weeks. Despite the large number of Polish photography groups already established, we have many Polish members, more than any other nationality, which is particularly pleasing. I deliberately avoided calling it a ‘club.’ In my experience, ‘club’ suggests a hierarchy committees, constitutions, rules and competitiveness – all things that can be intimidating for a beginner. 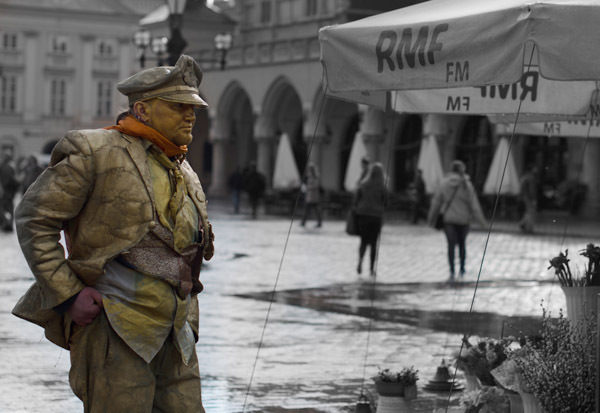 All I want is for people to get out with their cameras, enjoy their photography and enjoy photographing Krakow. We are privileged to live in one of the most photogenic and photo friendly cities in Europe. We have had already held some events, workshops and photo walks, and plan to hold regular events and meetings over the coming months. 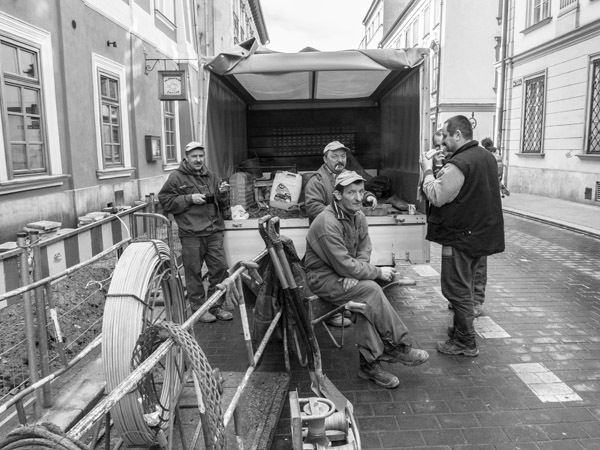 The Krakow photography group is open to anyone, whatever your nationality. Experience and equipment are not important. It doesn’t matter if you have a camera phone, a compact, or the latest DSLR with all the kit – the group is about friends sharing ideas and helping each other to get the most out of our hobby. In short, it’s about having fun and discovering how great photography can be when you move away from Full Auto mode – it’s about creativity, not kit. We are also looking for a volunteer to help put together a simple website and to improve on my tongue-in-cheek Smok Wawelski Photographer logo. 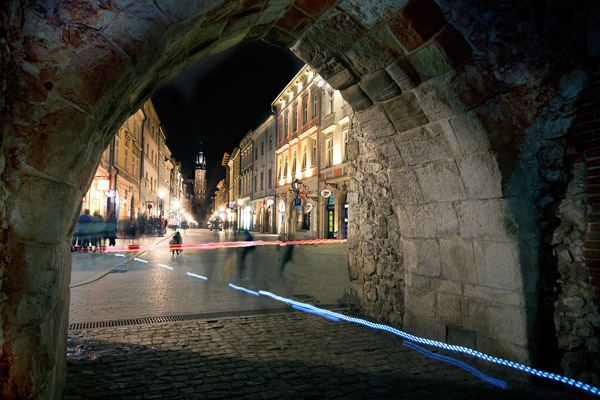 The next Krakow Photography Group event is on May 18 – a photographic outing by bike to Tyniec Abbey. My wife and I recently bought an apartment at ul. Jozefa Sarego 9/6. I haven’t physically seen it yet (other than a few photos on the real estate agent’s web page), and we will be in Krakow the week of 17 June to actually see it for the first time and to celebrate our 49th anniversary. Our daughter and granddaughter are living there now. I’m looking for a photographer that can do some interior shots including from inside towards Wawel which we can see from our third story windows (both day & night). Can you recommend someone to me? We’re returning to our roots, so to speak, and look forward to getting acquainted with the Krakow community. Our daughter is studying for her doctorate at the Vatican’s John Paul II University and is a permanent resident in Krakow. But I need some good quality photos to advertise it. How can I contact a photographer in Krakow to help me with this problem? I can provide conventional interior and exterior photography/videos, as well as more specialised 360 degree panoramas and virtual reality videos and elevated mast photography of the exterior, in other words a photo from 15 metres high. I don’t have facebook o what’s his e mail? Me and my wife moved to Krakow this February. My wife is a Photographer by hobby and is very keen to learn more in the field. She is already posting her photographs in facebook group ‘Krakow Photography Group – Online Album’. She is more willing to do some field work. Can you suggest some schools, clubs where she can get these opportunities. My name is Omar and i just moved to Krakow a week ago. I would love to participate in this meetings to make new contacts and friendships. At the moment i’m trying to make contacts to start working in this area (photography). Any tip or advice is always welcome. I’m a pro from the US, visiting Krakow for the first time, teaching a week-long workshop in late August. I’d love to share coffee, glass of wine, whatever’s your pleasure; talk some photography, share some time together. If that sound interesting, please send me an email and let’s set something up.